Our firm is small enough to provide personal attention and immediately respond to our client's needs. We boast a low number of financial service clients per professional staff member. We understand that our clients live busy lives, and we offer flexible meeting times that fit around your schedule. We are available to come to your place of employment, home, or meet at our office in order to better serve you. The depth in our organization allows the firm’s best ideas to be available for each client. Clients work closely with one of our Financial Specialists to have a consistent point of contact. Our Financial Specialists have over 50 years of experience in financial services, providing great depth and diversity. Our professional designations and advanced degrees are testimony to our knowledge and commitment to education. Our Financial Specialists have earned one or more of the following designations: Certified Financial Planner (CFP), Chartered Financial Consultant (ChFC), and Chartered Life Underwriter (CLU). We team with professionals who have earned advanced degrees to include Certified Public Accountant (CPA) and Juris Doctor (JD). Our firm also has a formal education program and continuing education requirements to keep us all current on the latest developments. We thoroughly review all aspects of our client’s financial world as they change throughout their lifetime. By increasing our client’s financial awareness, we reduce the time they spend worrying about financial issues and improve their quality of life. With the client always in control, we organize and improve their financial affairs and assist with the implementation of our recommendations. We save our clients time by executing trades they have approved, preparing account applications, and completing financial-related paperwork. Our goal is for clients to remain Sentz Financial Services clients for life. 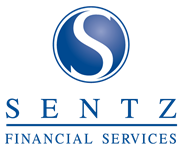 Our clients gain comfort knowing that Sentz Financial Services will be here to provide services to their family and dependents for many years to come. We work with clients in the Central Ohio area and around the country, wherever life leads them. Are you ready to experience the difference for yourself? Get started toward your financial goals by contacting us today!